Since she was five years old, she dreamt of having her own clothing line. 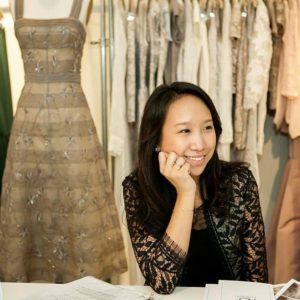 Katie Fong grew up drawing pictures of the evening gowns cared for by her family’s dry-cleaning business. 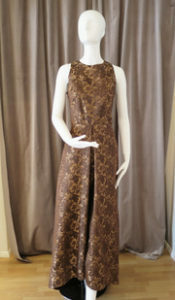 Her adoring grandmother encouraged her love of clothing and design. 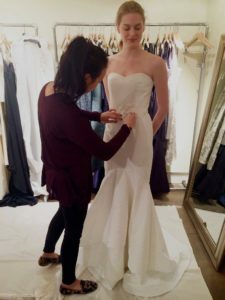 Through this experience, Katie discovered her niche and her passion was in bridal and eveningwear. “I began designing in my spare time and while I lived at home, my parent’s library became my studio.” Her muse was the Greenwich woman who always dressed with an elegant ease, even in eveningwear. “I grew up in the area and knew the kinds of dresses and gowns these women needed for their lifestyle.” Katie spread the word in her community and began to design for local woman who coveted her style. With her orders growing she took a leap and quit her day job to work on her own designs full time. 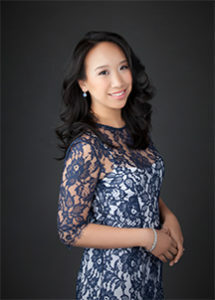 Greenwich designer Katie Fong works on one of her custom dresses. Fong is launching a new line of graduation gowns later this week. 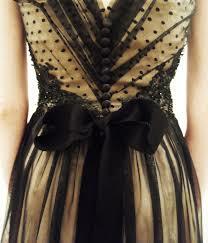 She created her first full line and moved to New York for her first showroom and studio space. 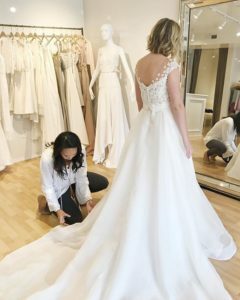 “Most of my customers were high-end department stores like Richards, who carried the one-of-a-kind gowns that I created.” She describes her style as classic, timeless and elegant. “The response to my line was almost immediate and I couldn’t believe it was all happening so fast. But something was missing. I wanted to have the one on one interaction with the women wearing my designs.” Three years later, Katie was presented with an opportunity to open her own shop in Greenwich.